March | 2013 | Musings of a Scary Horror Writer. 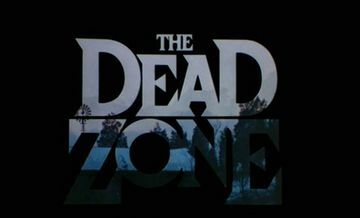 Yes, I’ve been in the Dead Zone. Sorry about that. I go through this every year. But let me explain. For a horror writer, the year doesn’t start in January. It begins (and ends) in October. October is the single greatest month of the year for obvious reasons. Everything horror exists during this time. So basically, I always start my year out strong. 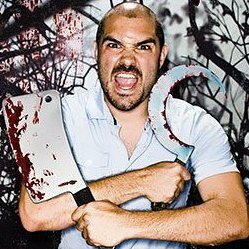 I do my October Horror Movie Recommendations every single day. Sure, I take a few days off in November to recoup and lament the fact that it’s not October anymore. But then I do my Horror Advent Calendar every day in December. I’m staying current. I’m visiting with people that send me messages. I’m a machine during these months. It’s a good old time for all. But then… before you know it… it’s March 11. And your blog’s latest post is a Merry Christmas message. Good lord, Jeff. I didn’t even do my usual Sundance reviews this year. I went to Sundance, and it was awesomely awesome, as usual. There were some amazing horror standouts, like S-VHS, In Fear, and Stoker, but I was so swamped, I didn’t even have time to write anything up about them. Oh well. Just take my advice and check out those movies. The Gareth Evans segment in S-VHS might be the greatest thing I’ve seen in years. Although, let me just tell you that this dead zone is all for good reason. I have been swamped with countless projects that I can’t wait to tell you about. The soonest you’ll start hearing about is my upcoming graphic novel, RUN LIKE HELL. While I do have digital distribution, I’m also going to be doing a Kickstarter campaign here pretty quick for a limited edition hardcover that is going to be beyond awesome. I’ll be posting a lot on here about that soon enough. But there are also a few movie projects, and gasp… even potentially some cool TV stuff. But all in due time. For now, accept that this dead zone for a horror writer is a good thing. And you’ll be hearing a lot more from me very, very soon. Whether that’s a good or bad thing, is entirely up to you.